Education requires an elusive dose of order and chaos, predictability and improvisation in order to succeed. The program for this school called for classrooms and labs for group learning, a library for individual and group study, and places for assembly, performance, athletics and relaxation. It is an academic village where groups emerge, are disbanded and regroup: a community for learning,growing and discovering. 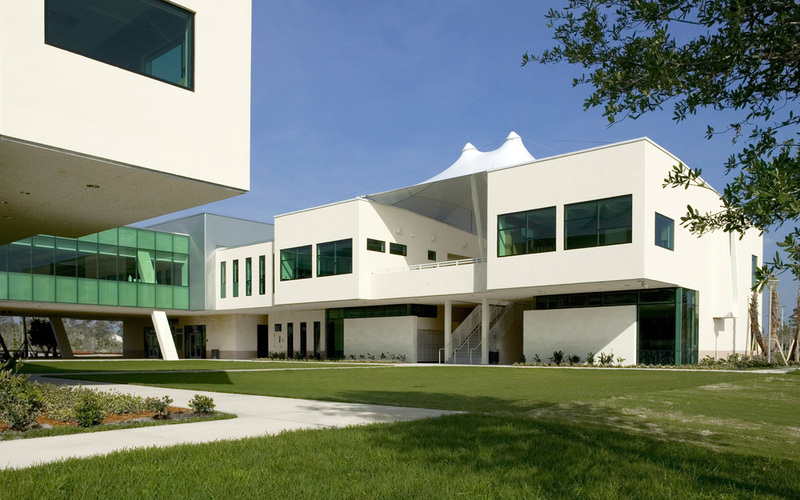 The campus design is a functional and formal response to a specific educational vision and program of both active and continuous expansion and inward change. Its structure promotes education and profoundly engages the specifics of its location: “touched” environment re-defining itself through the introduction of children and teachers.